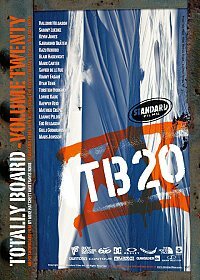 Standard Films is proud to present the 20th film from the legendary Totally Board Series, TB20! Originating in 1991, the "Totally Board" movies pioneered big mountain snowboarding and revolutionized action sports movie production in a way that captured the essence of the sport. Fast-forward two decades later to TB20, where the legacy lives on through the ultra extreme snowboarding of today's most talented pro shredders on the planet! Kimmy Icebird (RJD2 & Aaron Livingston) Going and Going and Going Going and Going. and Going.